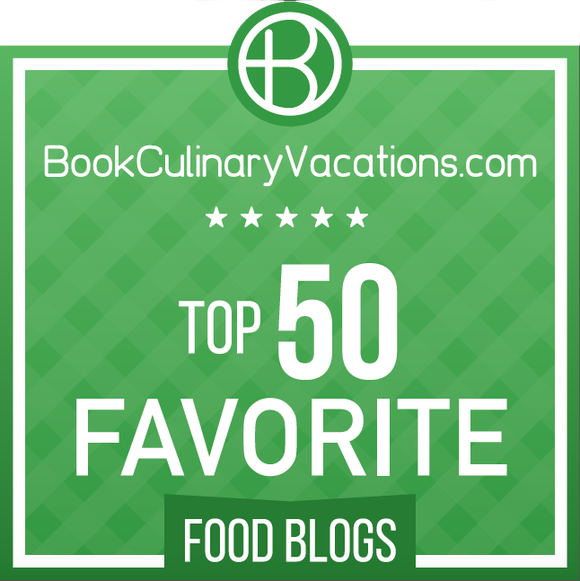 With countless choices of great culinary and wine blogs available on the web, the team at BookCulinaryVacations.com had recently put our heads together to narrow down a collective list of the top 50 of our favorites. The result? A delightfully diverse list of food and wine related blogs with covering an array of categories that include general culinary blogs, wine blogs, baking and desserts blogs to blogs that focus on specific types of food (e.g: vegetarian, vegan etc.) and cuisines (e.g: Carribean, Italian etc.). 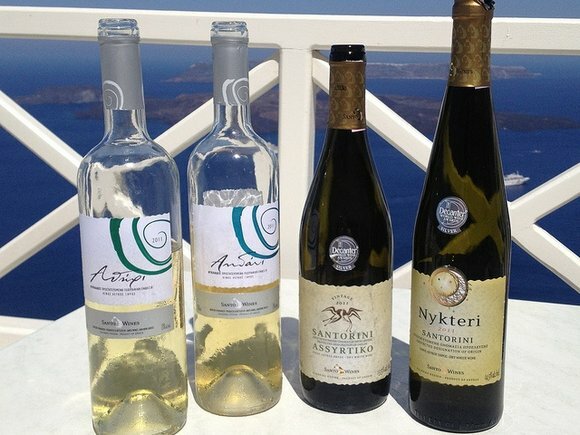 Though each blog we’ve carefully curated brings something fresh and unique to the table which makes them stand out amongst the rest, one thing that the team of BookCulinaryVacations.com unanimously agreed upon is they all offer great food and/or wine related contents that are certainly worth sharing. Don’t believe us? Read on and find out for yourselves! If you are ever unsure of what or where to eat for breakfast, then you should definitely check out ‘What Should I Eat For Breakfast Today’. Marta, the woman behind the highly creative breakfast ideas shared on the blog, believes that a fool-proof way to start your morning right is to indulge on delicious food. 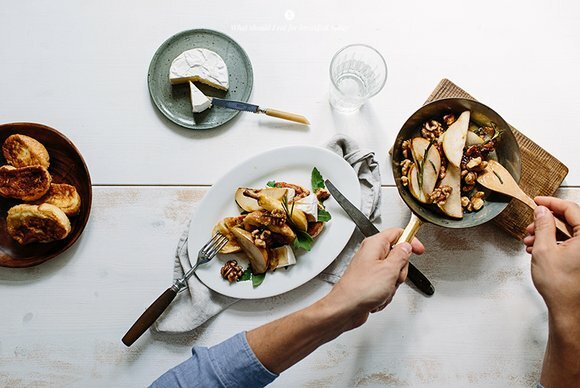 All of the photographs featured on this blog are so stunning, it may just give you enough motivation to wake up early and whip up yourself a decadent breakfast every morning! A home cooking blog from a tiny kitchen in New York City, ‘Smitten Kitchen’ is a blog that has a lot of heart. With its simple, clean and crisp website design, you can easily browse through and find your favorite homemade, no-fuss recipes that you can whip up in your own kitchen. What we particularly love about ‘Smitten Kitchen’ is its easy to follow step-by-step guide coupled with plenty of beautiful photographs on how to turn unpretentious ingredients into mouthwatering, delicious dishes and meals. For blogger Liza, ‘Food. Curated’ is her dream series where she gets to share what she enjoys doing most; exploring ideologies and stories behind food and people. What sets her apart from other blogs is that she documented these charming stories through guilt-free and entertaining videos. With Liza’s knack for storytelling, she successfully connects her audience by building a fun and vibrant community that are as passionate about food as she is. We dare you to check out ‘Food. Curated’s videos. We can safely bet you won’t want to stop with watching just one! Behind the wine blog ‘Vinography’, is a wine blogger named Alder who is also the author of an award-winning wine book, “Essence of Wine”. Blogging from San Fransisco, California, Alder admitted to be “THAT guy” whose friends always go to when they are in need of wine and/or food advice. Dubbed by some as the “pioneer in wine blogging”, he continues to share useful tips and insights on wine and food that readers all over the globe can use as guides and references in their own wine and gastronomic adventures. 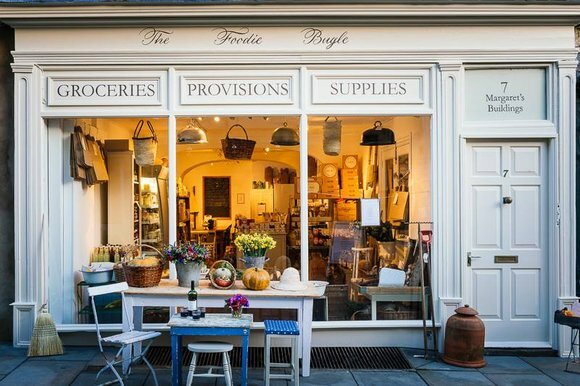 Behind the scenes at ‘The Foodie Bugle’ are shopkeepers working at their own Food Bugle Shops. Take an insider peek to the interesting perspectives of the shopkeepers as they showcase artisans, places, food and drinks, as well as crafts and books that undoubtedly spark your curiosity! What makes this blog unique is that they create their own artisan food and drinks with a vintage touch that are available for its audience to purchase. Additionally, it shares recipes that uses fresh and seasonal local produce as ingredients and through its inspiring posts, encourages its readers to lead a healthy lifestyle. Jill, a Fillipino blogger, pours her passion for travel along with her love of food into eloquent string of words on her blog ‘The Food Scout’. As a self-proclaimed ‘food scout’, she is always on the hunt for trendy food cuisines and worthy places to visit both in Asia and America. When one checks out her blog, it would nearly impossible to not intuitively feel her energetic personality, which resonates through her up-beat style of writing and the many eye-catching and vibrant photos sprinkled on her wonderful posts. It’s not every day that you get to “meet” a blogger like Kristin who has a genuine strong connection to vegan food. In her efforts to find great vegan food, she travels all over the US to seek out vegan restaurants worth raving about. ‘WTF Vegan Food’ also known as ‘Will Travel for Vegan Food’ is a delightful platform where Kristin shares her thoughts and experiences on her exciting vegan food adventures and everything in between through blog posts and personal videos. Whether you are a vegan or are interested in finding out more on what veganism is truly about, this is THE site you should be checking out! What initially started as a restaurant recommendation blog, over the years, ‘Sugared & Spiced’ has evolved to become a full blown food and travel blog. Based out of Shanghai, China, this blog focuses on sharing insights and experiences of mouthwatering pastries and savory delicacies found at variety of restaurants in Shanghai, Paris and beyond. If you happen to share the blogger’s evident passion and cravings for all things sweet, it is more than likely that you’ll be visiting this incredibly charming blog on the regular. A food, travel and lifestyle blogger based in Bangsar, Malaysia, Sue Lynn aka ‘Bangsar bAbe’, sets out to prove that she is far beyond just a pageant beauty queen. On her blog,she openly admits and expresses her deep passion for eating, traveling, writing as well as for trying new food places. Aside from writing for her own blog, she often writes reviews and delightful anecdotes of her culinary adventures for various local publications. Join Sue Lynn as she searches high and low for the best places to eat and to experience in her exotic home country and beyond! 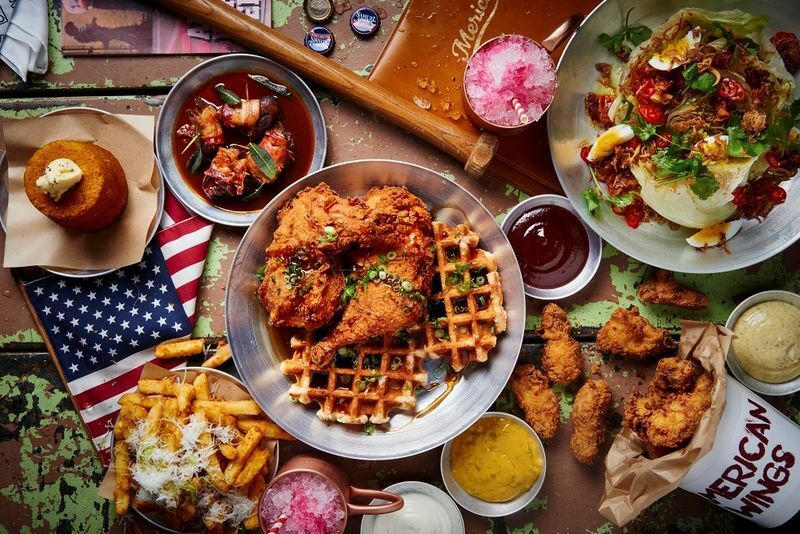 Food blogger, Brandy believes that when each time we take a bite into food, it will instantly take you back in time and rekindle fond memories of the past. This insightful belief is the very basis of her blog, “Nutmeg Nanny”. Inspired by her roots, she started creating food recipes and shared it with anyone who seeks to reminisce his or her good old childhood days. Stroll down memory lane with Brandy and be ready to reconnect with your inner child. Based out of Washington D.C, USA, this blog’s name says it all. ‘Table for two’ focuses on the concept of “sharing and caring” and seeks to share recipes of delicious dishes that easily bring people together. Combining her passion for food and her love of spending time with her friends and family, she focuses on whipping up dishes that are simple, quick, healthy and of course – oh so delish. Why not try one or more of her family friendly recipes? It’ll sure make you even more popular amongst your loved ones. With his honest to goodness reviews and his passion for food, ‘Lady Iron Chef’ aka Brad, a Singaporean blogger, regularly shares with its readers the latest news on food, travel and lifestyle – particularly on places worth visiting as well as his vast list of food worth eating! If you plan to travel soon and would like to make the most of your trip - be sure to scan through Brad’s list of recommendations prior and throughout your travels! Blessed with a talent for baking, blogger Linda showcases her impeccable skills and creativity on her blog ‘Call Me Cupcake’. As she often spends her days in the kitchen inventing new dessert and pastry recipes, she generously shares these wonderful step-by-step recipes to her readers to try out too! 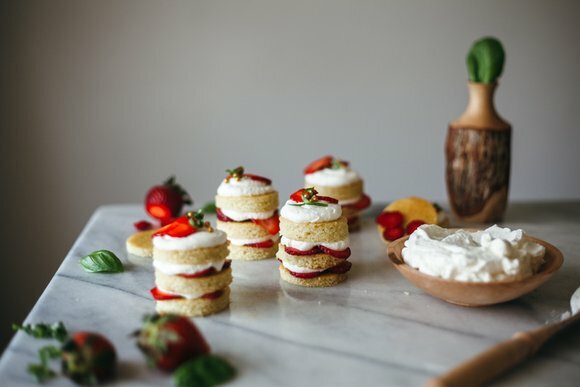 Fortunately for us, Linda is as gifted at baking as she is at food photography as we often find ourselves salivating over the mere sight of images of her gorgeous creations. Cooking up a storm at her tiny kitchen in a tiny urban condo, food blogger Jen, with her Asian heritage as the source of inspiration, has been experimenting to come up with new recipes as well as fresh, creative ways to prepare Chinese cuisine. 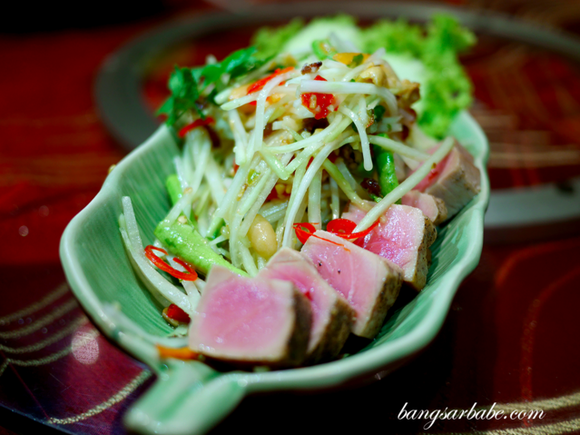 At ‘Tiny Urban Kitchen’, she offers her own unique twists in transforming traditional Chinese food into hip and modern Chinese dishes that are as authentic as they are delectable! 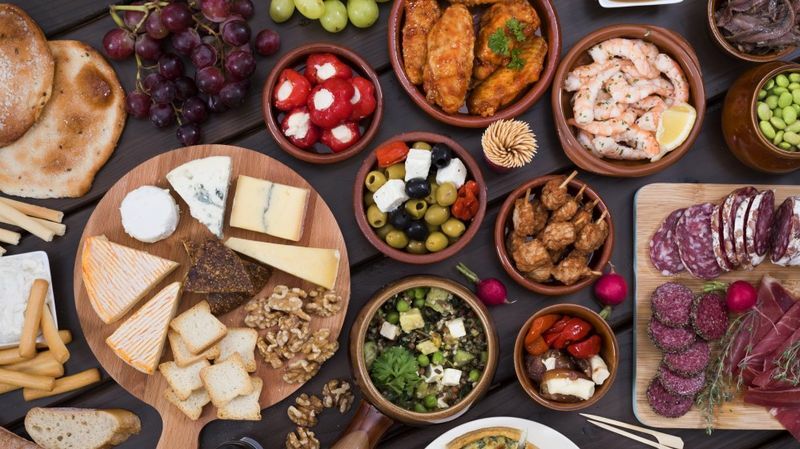 At ‘Gourmet Fury’, blogger Melody turns her life’s routine of ‘eat, drink, travel, and blog’ and translates them into informative and definite read worthy posts. Based in Austin, Texas, she provides delightful insights on not only local restaurants and places worth visiting but also those located abroad. Since Melody is also a photographer, it comes to no surprise that her blog is decorated with stunning photography. She uses her photos as an effective tool to share her experiences with her readers – they certainly made us feel as if we were traveling with her! Writer and blogger Elizabeth of ‘Elizabeth Minchilli in Rome’ had found her true calling to “write about the good stuff in Italy” and the good stuff certainly includes a whole lot of Italian food! On her blog, Elizabeth doesn’t only share various Italian recipes, she also writes about her experiences of going on food tours, day trips and checking out great restaurants located all over Italy. If you happen to be heading to Italy soon and/or a lover of all things Italian, you simply must check out this blog! Mijune is a food blogger who considers herself as a food and travel enthusiast and she truly has a different approach when it comes to food. You can explore her unique perspectives on “Follow Me Foodie”, a blog that she has used as a platform for her to express her honest thoughts and experiences on food and worldly travel. On the blog, she wonderfully highlights the latest on food and travel news and trends, which she sprinkles along with practical and useful insights on her own travel experience, culinary tours, food recipes, and restaurant recommendations. Once you land on its homepage, it’s evident that ‘In Katrina’s Kitchen’ is a blog one must visit should they be on the hunt for sweet treats. Here, Katrina shares her delectable collection of desserts, coupled with recipes and practical step-by-step instructions that her audience can easily follow. When she is not busy baking desserts in her kitchen, Katrina loves to travel and shares her interesting experiences on the blog too! Unlike many food blogs and websites on the web which often focus upon gourmet cooking and “making fine cooks finer”, food blogger and writer, Marty uses her blog, “Foodsite Magazine” as a platform to empower those who feel less than confident of their skills in the kitchen aka “the cooking challenged” by offering useful food related information which includes nutrition, cooking methods, serving ideas and links to recommended sites which offers simple and delicious recipes for her audience to try in their own kitchen. Namiko Chen is a blogger mom who enjoys creating flavorful dishes for her family and loved ones. Her blog ‘Just One Cookbook’, revolves around the recreation of her family’s favorite Japanese recipes. That said, she also enjoys adding her own twist to these traditional recipes and creates a variety of fusion simple Japanese dishes. If you are a fan of Japanese food, let Namiko Chen show you how you too can cook wholesome and delicious dishes through the many heartwarming recipes she has generously shares on her blog! With his past professional experiences as an editor, its no wonder that blogger Jameson is so well versed in his writing - especially when it comes to wine. 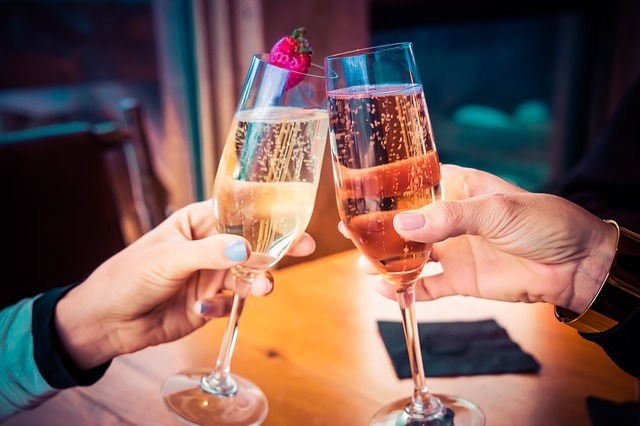 Reading through the posts he shares on his blog ‘Jameson Fink - Wine Without Worry’, it becomes evident that to him, wine is not merely an interest– it is a passion. If you’ve been looking for a wine blog to sink your teeth into, this is one to not be missed. Join Jameson on his extraordinary wine journeys to various vineyards and wineries while pick up a useful wine tip or two along the way! Nicolas and Gabriella, a food and travel-obsessed duo, seek to better understand the world we live in through eating everything in sight! With such voracious curiosity, they are sharing their exciting food adventures whether it’s in their own kitchen or on the open road at ‘The Funnelogy Channel’. Here, you can find their unique insights on food, interesting interviews with chefs as well as even travel food guides to be used as gastronomic references for your next trip! At ‘Two Peas & their Pod ’, bloggers Maria and Josh delightfully show their audience just how easy (and fun!) it is to whip up healthy family-friendly and comfort meals with fresh ingredients at home. Devoted to sharing insights on healthy living, they have also created weekly meal plans and recipes to encourage readers to take up on. If you’ve been wanting to lead a healthier life, why not take them up on the challenge? Get started today! The beauty of behind ‘Migrationology’ is Mark’s personal beliefs in connecting people over good food. Thanks to his passion for food, he is embarking on culinary adventures and sharing his exciting experiences with his readers. So far, Mark has mainly covered traditional cuisines of Southeast Asia that said, he’s determined to explore more of the world and the many delicious cuisines it has to offer. Along the way, he seeks to inspire his audience to travel more and go on their own gastronomic journeys! Before you do, make sure to explore his ‘must-eat food’ and ‘must-go places’ posts, they’ll sure come in handy. When you first peer into ‘Oh Sweet Basil’, you’ll be warmly greeted with its simple recipes and sweet photographs that truly capture the essence of the meaning behind its name. This blog seeks to reinvent family dinners and recreates delicious dishes to be shared with families and friends. Here, Carrian and her husband, share not only recipes but also their insights on food and healthy living. This passionate collaboration, along with a little help from the couple’s daughters, is what we think makes this blog oh so special. Blogger Stephanie has an approach on food that is refreshingly quirky and unique. Join her as she seeks to transforms simple ingredients such the humble avocado into a plate of delicious and beautifully presented avocado dish! What we also love about ‘I Am A Food Blog’ is how she infuses her creative talents in photography to perfectly capture the tantalizing results of her hard work in the kitchen. From reading the well-written posts she shares on her blog ‘Wine. All the time’, you might get the impression that wine blogger Marissa is a professional wine connoisseur. We bet you’d be surprised know that she is not! One thing is for sure though, Marissa is passionate about wine and has lots of savvy insights to offer when it comes to the topic. If you have been wanting to further educate yourself about wine, her blog is a great place to start. Based out of California, blogger Michelle of ‘Hummingbird High’ often find herself turn to baking whenever life throws her lemons. Here, she expresses her love for baking and shares the results of her “experiments” with quirky flavor combinations which makes up much of recipes collection. When she’s not baking, she enjoys traveling and goes on a regular hunt for good food – both the sweet and the savory. She regularly records and shares her reviews and recommendations for her readers to use as useful guides and references. They say that a family that cooks together, stays together and this is the very foundation of ‘The Woks of Life’. Check out the labor of love of a family of four as they seek to share their authentic Chinese and Asian cuisine recipes as well as their personal cooking tips and tricks! This close-knit family clearly enjoys cooking in their kitchen and they’re certainly not shy when it comes to reviewing food they’ve eaten out at restaurants. With a vast collection of scrumptious recipes shared by home cooks of different generations, you’re sure to pick up some of the best Asian food recipes and reviews here. As fans of her blog, one thing we know for sure about blogger Diane is that she is more than passionate about Greek and Mediterranean cuisines! Here, she shares her recipes heavily inspired by traditions, useful cooking tips and even offers cooking classes! 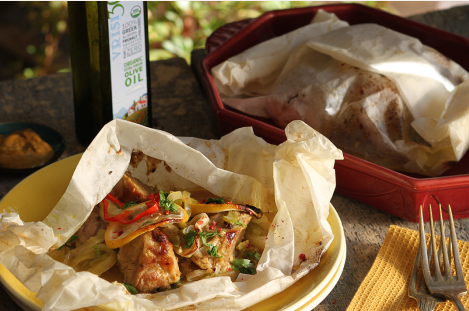 Want to learn how to prepare an authentic Greek and Mediterranean dishes? Then ‘Diane Kochilas’ is definitely a blog not to be missed! Having been raised in a vegetarian household, blogger Sala, is highly inspired by the traditional Indian “fiery” flavors and specializes in Indian vegetarian and vegan cuisines. 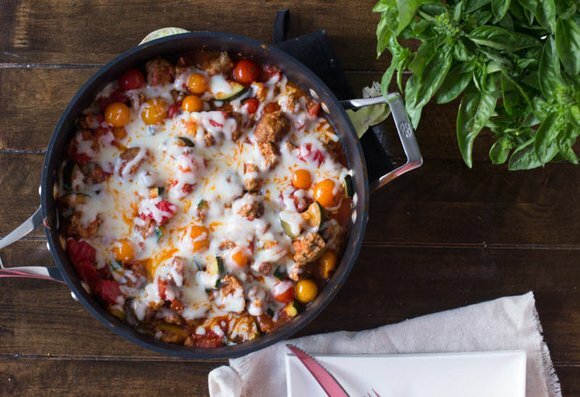 She shares her flavorful creations on her blog, ‘Veggie Belly’. It offers a one-stop access for great tips, insights and all that you need know about authentic Indian cooking. If you happen to be a lover of spiced infused dishes, we urge you to try out one or more of Sala’s spice infused recipes. The modern and fresh design of ‘The Sugar Hit’ blog perfectly reflects Sarah’s fun and exciting approach to both baking and cooking. On her blog, she shares recipes of various delicious dishes starting from breakfast food, desserts to savory meals and snacks! Her unique take on food coupled with the blog’s quirky and pop art inspired design is a lethal combination that makes it almost impossible not to come back time and time again. Having grown up around Caribbean culture and its authentic cuisine, the blogger behind ‘Simply Caribbean’, use her blog to share recipes where she mixes traditional Carribean cooking with a modern twist. If you have yet to sneak a taste of Caribbean dishes, you ought to start by trying out the many delicious recipes on this blog! Like us, you’ll most likely to be hooked! Shirley, the artist behind ‘Little Miss Bento’ magically transforms the most ordinary and humbling food ingredient, into the cutest plate of delightful dishes. Her bento illustrates what 'eating with your eyes' truly means. We’re often left in disbelief on how simple ingredients can be morphed into animation inspired creations. Head on over to her blog to feast your eyes on Shirley’s original creations that will surely put a big smile on your face. Based out of Los Angeles, California, ‘Potato Chips are Not Dinner’ seeks to motivate readers to have “proper” meal as much as possible whether they are at home or traveling abroad. A past Master Chef US (season 4) contestant and a flight attendant, Paulina has a love of food and travel that runs deep. Join her worldly travels and find out how she uses her travel experiences as an inspiration in creating her own recipes and dishes on her blog! If you have been on the look out for a healthy lifestyle blog, make your way to ‘The Lemon Bowl’! A professional “wanderluster”, blogger Liz believes that eating and living healthily is truly a way of life. 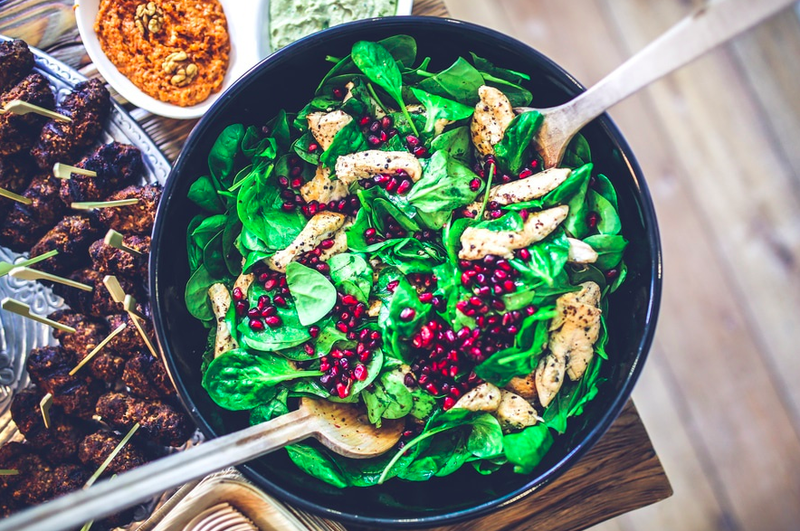 On her blog, she shares her nutritious recipes and graciously provides useful tips and tricks to inspire others to live out a healthy lifestyle too! Being healthy is definitely not as complicated as we often make it out to be. Using her simple and easy to follow recipes, Liz helps her readers to create tasty dishes that surely make you want to dig in for seconds. Laura and Nora, two talented food stylists from Germany, appear to effortlessly make everything they create in the kitchen look stunningly beautiful. That said, what we think makes ‘Our Food Stories’ so very special is that the duo focuses on creating gluten-free and vegan food that each comes with a charming story worth sharing! These stories provides its readers with a personal glimpse inside the bloggers’ daily life at a humble, German countryside. 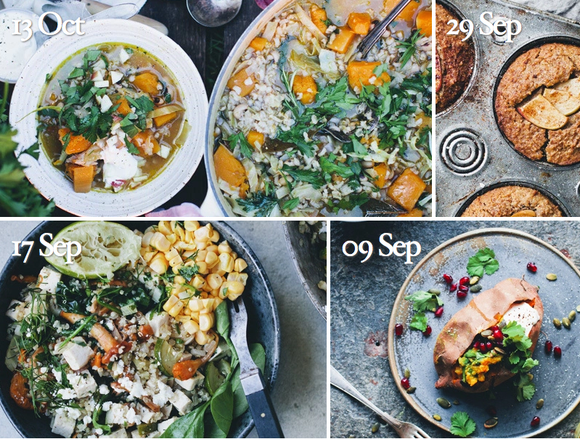 David, Luise and Elsa, the bloggers of the ‘Green Kitchen Stories’ have their own twists and beliefs when it comes to healthy eating. They focus on creating simple meals – from appetizers to desserts – all using natural ingredients! Though simple, the dishes and recipes definitely look nothing short of scrumptious. Be sure to also keep an eye out for their personal anectdotes on how food impacted has impacted their lives, they will definitely warm your heart! Based out of Amsterdam, Netherlands, blogger Vicky centers her wonderful blog, Amsterdam Foodie, around the delicious food and restaurants she encounters both at home and abroad. Thanks to her vast knowledge of food, she has also started creating and sharing her own versions of food that she has had the pleasure of eating on her delightful blog. If you ever find yourself in Amsterdam and unsure of where to go to have a tasty meal, let Vicky be the savvy guide to your gastronomic adventure, you won’t be dissapointed! To say we’re a fan of Yossy who is a food photographer, a food stylist and a baker is an understatement. 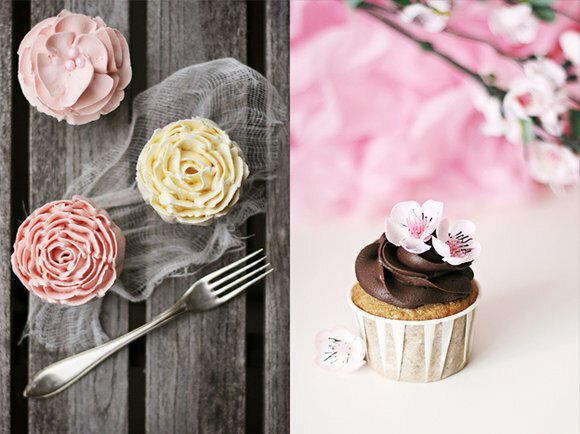 We absolutely adore her baking blog ‘Apt. 2B Baking Co’ and use it as our recipe and go-to-guide to baking. Here, she shares an impressive list of recipes and tantalizing images of her creations that often inspires us to whip up our own batch of her popular dessert recipes such as her baked sweet and salty brownies or her simple yet oh so delicious apple pie! The blogger duo consisting of Tim (a chef) and Nat (a photographer), shares a mutual passion for travelling and cooking which they regularly illustrate on their exciting culinary travel blog, ‘A Cook Not Mad’. Offering food recipes, travel tips, accommodation suggestions, as well as their own travel anecdotes and stories about the people they encounter along the way, they seek to inspire and encourage readers to cultivate their own “mad” love for food and travel! Food blogger Katie has a mission. She is on a constant journey discovering all of the amazing food that one can find in Rome and seeks to give well-deserved praises to the food heroes behind it. On her blog ‘Parla Food’, you can read about her culinary adventures all over Rome where she provides a unique, in-depth knowledge on the city of Rome that may left you feeling as if you’ve become a local! 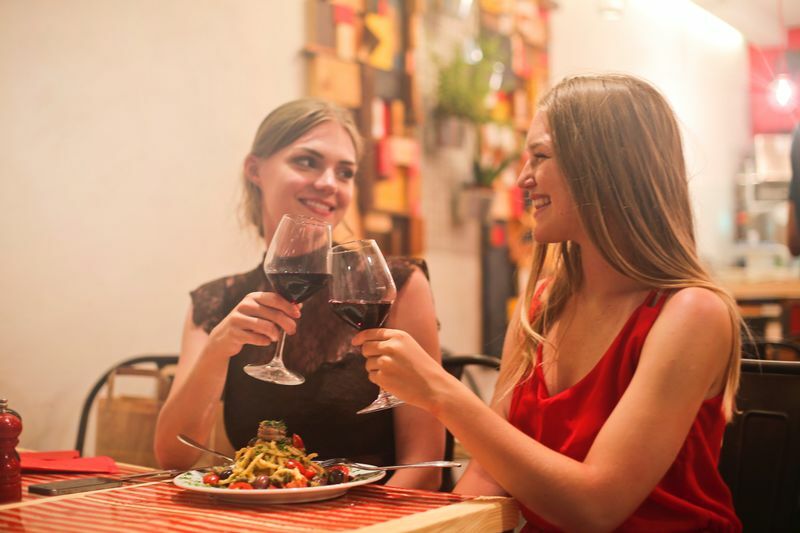 Here, Katie also shares her critical reviews of restaurants she visited and welcomes readers to have robust and engaging discussions on food and Rome with her! Food blogger Molly is a Julliard graduate who recently moved from Brooklyn, New York to a farm on the north Dakota-Minnesota border, where her husband is a fifth-generation farmer. Through her charming blog, ‘My name is Yeh’, she shares personal stories about life on the farm, her exciting travels as well as plenty of her mouthwatering recipes. Drawing much inspiration from her Jewish and Chinese heritage, Molly’s ecclectic recipes are well worth a try! ‘Brooklyn Supper’ is the collaborative, creative efforts of a talented bloggger duo, Elizabeth and Brian, who despite its name are now blogging out of Charlottesville, Virginia, a small city in the foothills of the Blue Ridge Mountains.Whether you are looking to begin your culinary journey or already consider yourself as a cooking novice, this wonderful blog offers seasonal, wholesome and not to mention delicious home cooking recipes that focuses on using fresh ingredients which home-cooks and professional chefs alike can certainly give a go. Always on the look out for her next culinary discoveries, Mayssam, is the Montreal based blogger behind ‘Will Travel For Food’. Being as passionate as food and travel as she is, there is simply nothing that is nothing that could get in her way from her hunt for great food and must visit places scattered all over the globe. If you happen to share her deep love and passion for food, be sure to make your way to her blog before your next adventure. If you want to cultivate an in-depth knowledge of food, ‘Foodie Underground’ may just be what you have been looking for. Blogger Anna always has something new to bring to the table, as she is not afraid to speak her mind in sharing her own perspective and addressing honest information on what we should know about the trendy and latest food and places. With broad experiences with food in tow, she also shares her own delicious recipes that are both vegan and gluten-free, that you may hate to pass up! A lawyer by day and an Italian home-chef by night, Frank is the blogger behind ‘Memorie di Angelina’. Inspired by his past homemade dinners he had in his grandmother’s house, he transforms traditional recipes into authentic and heartwarming Italian dishes with a modern twist. 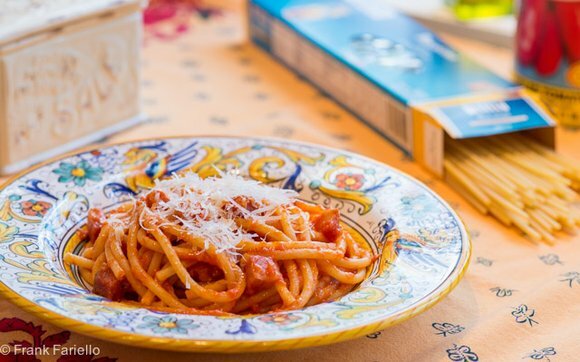 In his blog, he also proudly shares charming anecdotes on his Italian roots annd giving us a better understanding of the wonderful world of Italian cuisine. Blogger Anthony is passionate about wine and food and he’s not afraid to show it. His blog ‘Flavorful World’ instills a guiding philosophy that the enjoyment of food and beverages holds so much power than many of us give credit for and that culinary pursuits deserve not only our attention but also our gratitude, cultivation and respect. If Anthony’s profound respect and love for food intrigues you, you’ve got to pay his blog a worthwhile visit! ‘White On Rice Couple’ is the “brain child” of a creative husband and wife blogger duo. They use their eye-catching food blog to share their own gastronomic experiences and travel stories and as a platform to connect with other food and travel lovers worldwide. Here, their love and passion for food and travel can be felt in every well-written word and spectacularly captured image shared on each post. A word of warning though - you may want to have a napkin or two on hand – just in case you start drooling over the oh so tantalizing food images scattered all this blog! As a bonafide food enthusiast, Lorraine of ‘Not Quite Nigella’ really loves to cook and to bake! Lucky for us, she regularly showcases her scrumptious culinary and baking creations on the blog. Here, she also offers her reviews of a vast collection of restaurants that she has had the pleasure of eating at. Lorraine also enjoys traveling and often shares her candid experiences and useful guides and recommendations for each of her travel destinations. We’re big fans of Lorraine’s posts and if you aren’t already doing so, be sure to check them out! Thank you for taking the time to check out our favorite food blogs list, we hope that you enjoyed it as much as we have putting it all together! To read more food, wine and travel related articles, please visit our blog section. If you'd like to take a peek at the variety of culinary holidays, vacations and getaways we have on offer, feel free to peruse through our vast choices here!